Stellers Gallery has created an artistic presence in almost every private club in Jacksonville, as well as in many high-profile commercial business settings. Past commercial projects have included providing artwork for Mayo Clinic, the Federal Reserve Bank of Atlanta (Jacksonville Branch), Westminster Active Living Community in Orlando, FL, Regions Bank, Jacksonville Bank, San Jose Country Club, Marsh Landing Country Club, and Pablo Creek Country Club. 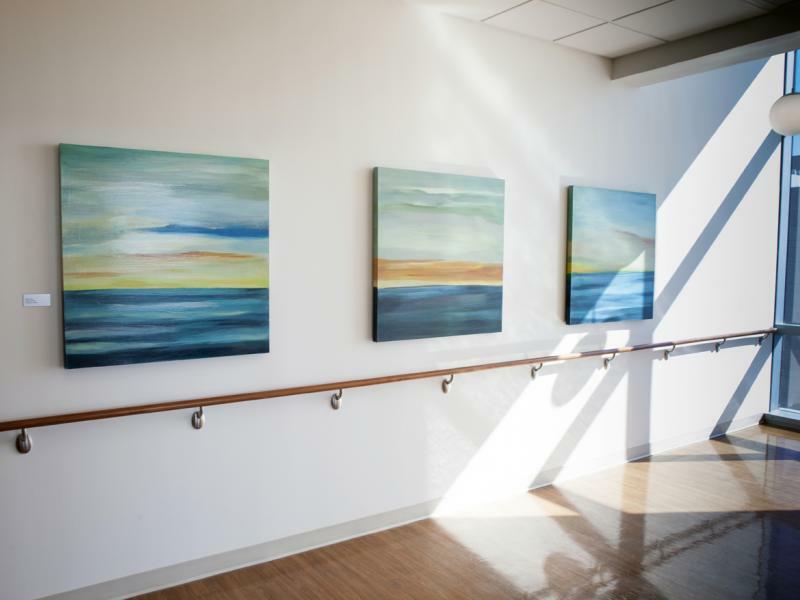 Most recently, Stellers Gallery at Ponte Vedra facilitated the acquisition of over three hundred artworks by Baptist Medical Center Jacksonville for their The New Patient Tower. To assist with your corporate collection needs, Stellers Gallery will work closely with company executives to create a bespoke professional image. We make an initial site visit to discuss artwork preferences, company image and budget. We review floor plans to suggest the right locations for artwork display. We also handle the delivery and installation of the completed project. In addition, our framing department is able to execute framing projects on a large scale for commercial businesses. We are happy to work with your designers and architects to create the perfect setting for your company's needs.